There has been a lot of interest in the Naked Cafe, so I am now taking orders for the kit. Here is a parts list. You don’t have to get all the parts, they are all available individually, but if you do this is what it will cost you. This entry was posted on January 9, 2011 at 1:46 am and is filed under Your say. You can follow any responses to this entry through the RSS 2.0 feed. You can leave a response, or trackback from your own site. really nice job on the naked, do you need to change cable lengths with those bars, eg” brakes, throttle.???. Do you think there would be any problems with rego in NSW. Have you thought of a radiator guard to go with the kit?? You dont need to change any cables’s or brake line lengths it all works. NSW Reg should be no problem its all good in the police state of VIC. Is the $200 price for the muffler(s) each or for a set of 2? 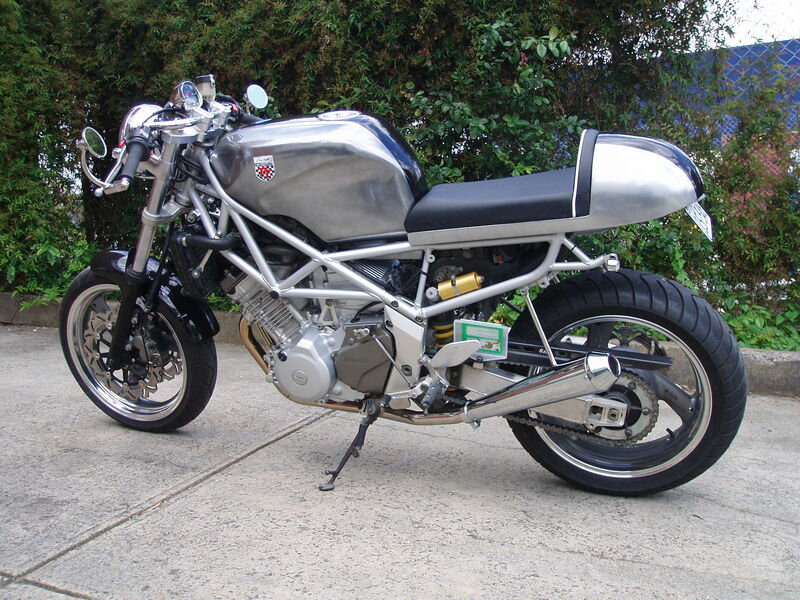 Is it possible to send you guys a donor TRX850 and you do the complete cafe racer conversion? Or is it so simple i could do it in my garage? We would be happy to convert your bike for you, but it is very easy to do yourself. Can i get some idea how easy ‘very easy’ is// ie: would i need many specific tools or just general ones eg: angle grinder, allen keys, spanner, wrench etc. How much would it cost to convert it if i sent it to you? Im looking for the full package. This naked is so impressive that I bought a TRX last night just so I could build one. My wife says one of my other bikes has to go, any ideas on how to handle this problem?